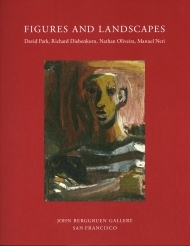 By re-asserting the primacy of the figure in his abstract paintings beginning in 1950, David Park (1911–1960) developed one of the most vital and inventive traditions of the postwar era. Park's return to figuration was fostered by his dissatisfaction with what he perceived to be the egocentric excesses of abstract expressionism. In Art in the San Francisco Bay Area, 1945-1980: An Illustrated History, author Thomas Albright writes: "Park's . 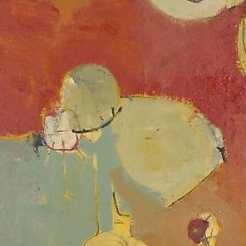 . . attempt to forge a new figurative art from the slags of Abstract Expressionism opened up challenges enough to occupy artists in the Bay Area and elsewhere for years to come." 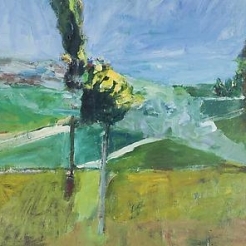 Other painters closely associated with Park and the California Art School (now the San Francisco Art Institute), such as Elmer Bischoff and Richard Diebenkorn, slowly followed Park's example, begetting a distinctive style which became one of the principal art movements of the West Coast. 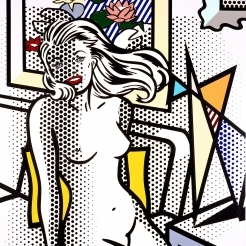 Park has become one of the most sought after artists of his generation and has been the subject of several exhibitions and retrospectives, most notably at The Whitney Museum in 1989. Park's influence can be felt in works by Nathan Olivera, Wayne Thiebaud, Terry St. John and the late Joan Brown.